When you head outside for a trip or vacation or for that next hiking trip the last thing you want to think about is ‘what if it rains?’ Unfortunately, that’s something that you definitely do have to think about and it’s something you’ll want to be prepared for as well. That means making sure you have all the rain gear you might need just in case something comes up while you’re hiking. There’s no reason you should have to turn back around and head home, after all. 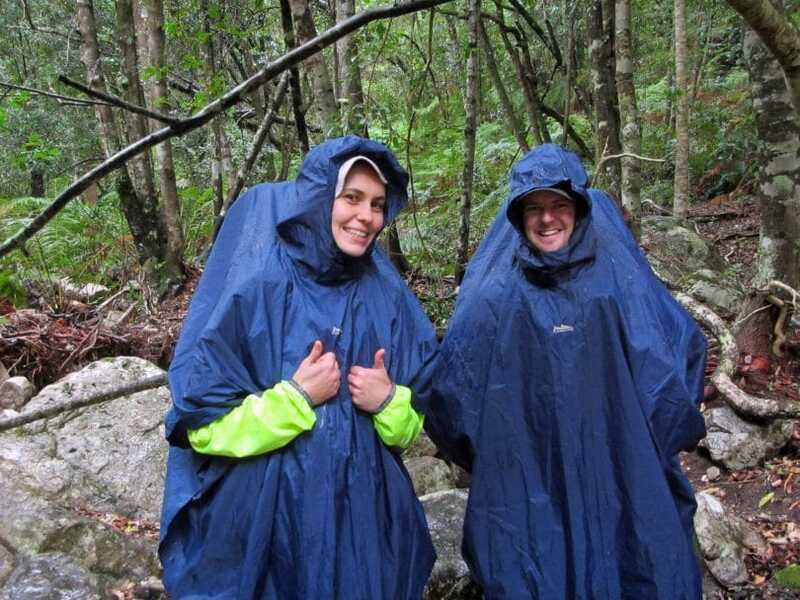 You should be able to still enjoy yourself and your trip, and you will, with the best hiking rain gear. Before you head out you want to check out your list. 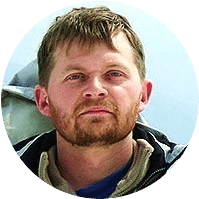 Being prepared for normal hiking conditions and being prepared for not so ideal hiking conditions are two totally different things and that means creating a list that covers all of your bases. Think about all the things you will need like food, shelter and hiking boots and then look at what happens when it’s not so nice out. What are you going to need now? We’re here to help with that. You’ve probably seen both of these notations on products before but do you know what they actually mean? Well, they mean that there is a slight difference in how the fabric will react to water that it gets exposed to. In short, water resistant materials are going to do decently well if you’re caught in a little sprinkle because they repel some water. They’re also more breathable fabrics, which makes them quite popular. 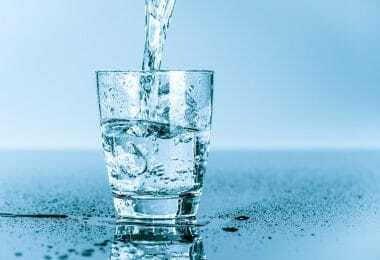 On the other hand, waterproof materials can be breathable or not but they are able to withstand a stronger amount of rain for an extended period of time without soaking through. This is pretty much the same as you see with waterproof and water resistant. When you’re out in the rain there’s generally at least a little bit of wind, right? Which is why you want to look at how windproof your rain gear is as well. If you want something that is going to keep you pretty protected then wind resistant is your answer. If you want something that will keep you warm and dry when the wind kicks up a few notches you’re going to want to look at something windproof instead. There are four basic types of shells that your rain gear may or may not have. 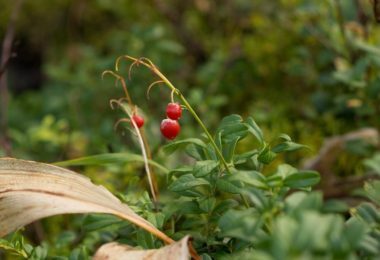 Keep in mind, your gear may alsohave a combination of more than one type of shell like you’ll find in most winter coats. A hard shell is going to be stiffer but it’s usually waterproof (rather than water resistant). It’s also not insulated. A soft shell is going to be lighter and more flexible but it’s only water resistant. It is going to be more breathable than a hard shell, however. A hybrid shell is something that combines features of a hard shell and a soft shell. With this type of shell, you’ll usually have mostly hard shell with some soft shell components in higher sweat areas, like the sides and under your arms. This gives you more breathability in these areas. An insulated shell is going to be puffier than the others but it’s going to keep you warmer because it’s filled with something like down. It’s usually water resistant (not waterproof) which means you’ll usually want it under another layer. 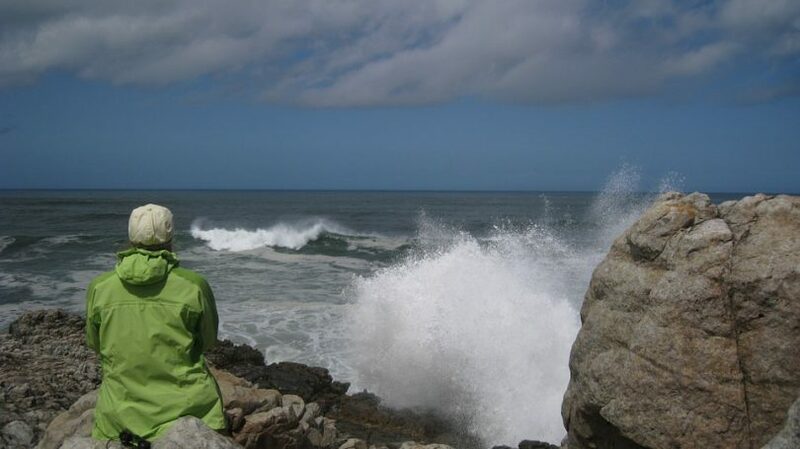 Look for a jacket that has more breathability, as this is going to keep you from getting overheated or sweating too much while you’re out hiking. You need protection from the elements and the rain, but remember, you’re going to be moving a lot and that means even if the weather around you isn’t that warm, you’re going to get warm. Being able to get some more of that sweat off of your body is going to make you feel better and it’s going to keep you moving. Find the balance that works for you between breathability and water resistance in order to keep you comfortable. If you’ve only ever gone to the store for a raincoat to wear going about your normal day you may not even know that there are actually layer levels for raincoats. A lot of people don’t until they start looking for something special. The truth is, there are three layer designs that are most common. These are 2-layer, 2.5-layer and 3-layer. 2-Layer is going to be quiet and thinbecause it has less to it. It’s generally pretty good as a waterproof, breathable option and it’s got some better durability than a 2.5-layer. It also has a moderate weight and cost. It has a fabric layer that’s coated with membrane and a loose liner on the inside. This makes it common for travel because it’s easy and less noisy, with less movement. 5-Layer is going to be lightweight, which is a great benefit. 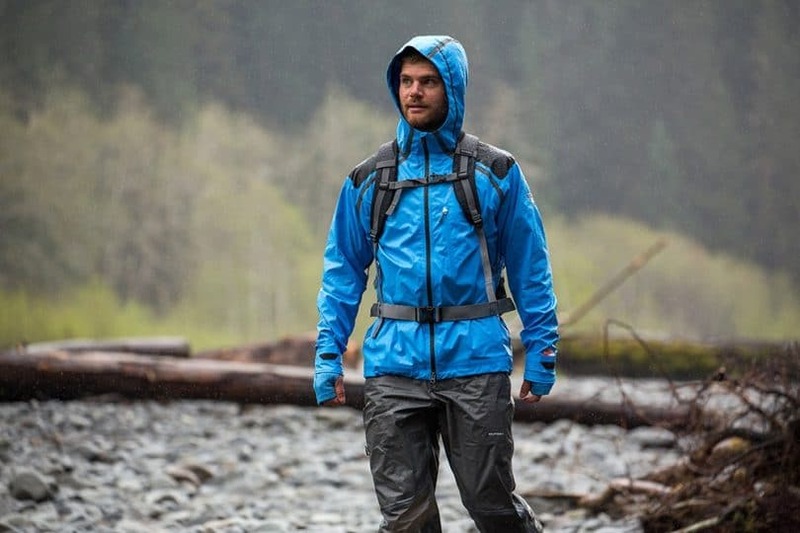 It’s a good all-around option because it has pretty good ability as a waterproof, breathable and durable system, but it’s not really the best at anything. It is light and inexpensive, however, which tends to make it somewhat popular. It has an outer fabric coated on the inside with polyurethane laminate. This forms the first two layers. On the inside is a type of protective sheen that forms a sort of half-layer. 3-Layer is going to give you the most protection. With the best performance in waterproof ability, durability, and breathability, this jacket is still lightweight, though it’s going to cost more than any of the other forms. It doesn’t use coatings at all but actually uses membrane meshed in between an outer fabric and liner. This is what you wear if you’re going to be out in the worst conditions because it’s going to protect you the most. Always be aware of different features on anything that calls itself waterproof or water resistant. You want to know the seams, for example, and how they’re actually sealed. Seams need to be sealed completely and taped in order for anything to be considered waterproof. Make sure you’re looking for this before you purchase something designed to be waterproof. You’ll also want to look at the zippers for this aspect, as any zippers should be coated or contain a flap that covers the zipper entirely to keep water out at all times. If you don’t see either of these you’re not getting a waterproof system. Look for a few other, extra features as well, like venting. 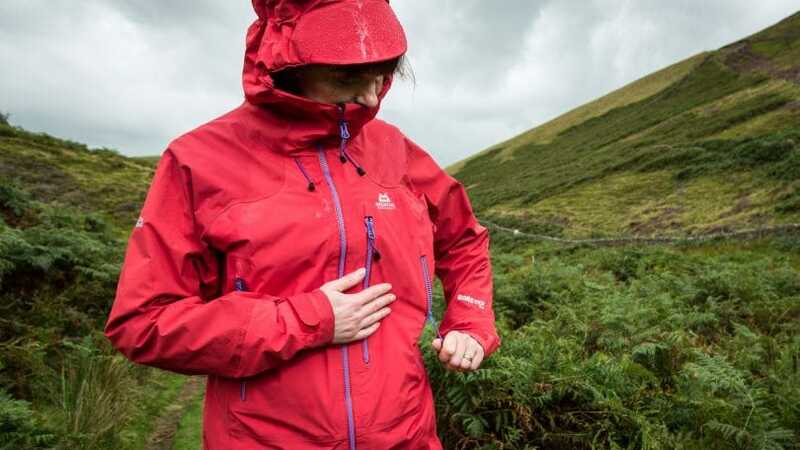 Just like your tent has vents to keep you more comfortable in the warmer weather, many jackets especially will have vents to make sure you get more breathability, even on already breathable jackets. Pockets should always have zippers so you don’t lose anything, but you also want to have a wide range of pockets so you can store anything you might need all at the same time. Don’t overlook the importance of being able to carry a large amount of things directly on you instead of in a pack. 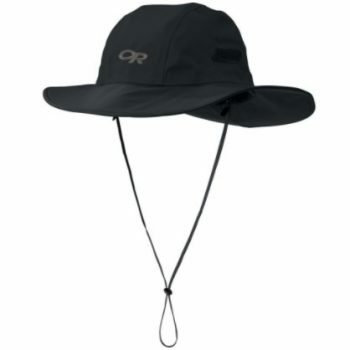 Available in two different sizes, the Outdoor Research Snoqualmie Sombrero Rain Hat is exactly what you’d expect to keep you dry. It’s made with three-layer 70D Taslan Gore-Tex fabric and is waterproof with taped seams. The brim contains foam to make sure it will float if you drop it in the water and the whole thing is insulated so you’ll be warm as well as protected from the rain. If you need a little more warmth there are fleece ear flaps that will cover you up if it’s cold and fold away easily if it’s not. This hat is slightly more expensive, but it does have several features that help account for this price. The hat has Velcro sides so you can attach the brim if you don’t want it all the way down and it can be used for men or women as the hat is unisex. 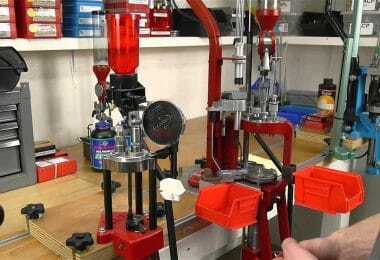 You will need to adjust it somewhat to get the right style if the hat gets crushed or bent at any time during use. 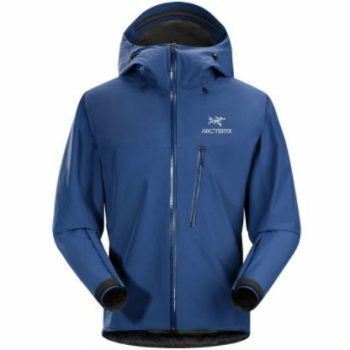 With the Arcteryx Alpha SL Jacket you’re going to get the choice of one of five sizes that fits you best and one of twelve different colors that let you choose your favorite style and look. Made with N40r Gore-Tex fabric, this jacket is designed to be lightweight, trim and flexible. You’ll get a great look with the jacket but it will also provide just the right amount of breathability. The storm hood fits just right so you can easily add a helmet on top if you’re going anywhere you’ll need it (like hiking in more mountainous regions or if you’re going biking. The zipper here is watertight and has an extra flap over the front to make sure you won’t get moisture inside. There’s only one pocket on the chest but you will get a stuff sack include so there’s always room for anything you want to carry. Everything about this jacket is light from the ultra light cord on the zipper to the shell. You won’t have to worry about packing it when you don’t need the protection or tearing as it features ripstop fabric. If you don’t really want to lug a big jacket around with you in thecase of rain the CAMTOA Waterproof Rain Poncho is another option available for you. 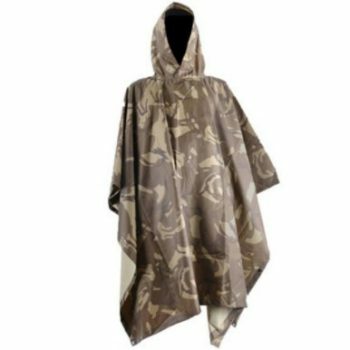 This poncho has a camouflage color so you’re going to blend in better to your surroundings, but it’s also extremely inexpensive, so you’re not going to mind carrying it along with you when it’s not raining and slipping it on whenever you start to have a weather problem. There are three different types of camouflage that you can choose from and the hood makes it even more protective for you. Completely waterproof with 100% waterproof nylon and a PVC coating, you’re going to love the way it looks and fits. 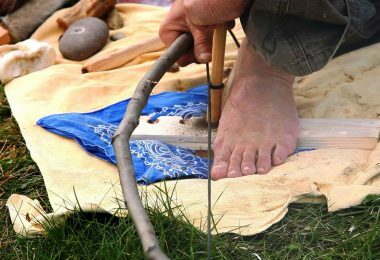 Able to be used as a tent as well as a poncho, this is going to be a great multipurpose tool for you and your next hiking trip. Super lightweight and easy to set up or use, this poncho has buttons rather than a zipper to help protect the waterproof capabilities. With so many uses, this lightweight poncho is definitely going to be a favorite for you and your hiking party. If you want to really be protected from the rain while you’re hiking and you don’t really want to carry an umbrella then this Luwint Umbrella Hat is for you. It has a 36” diameter to make sure you’re going to be fully protected and because it attaches to your head, you don’t have to worry about how to hold it just right to protect you while walking or your arm getting tired. 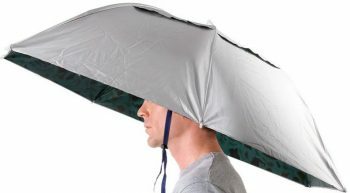 Instead, this umbrella hat fits comfortably and makes sure you can move around with ease. It has vents to give you plenty of air while keeping water out and it’s coated with aluminum so you’ll be protected from the sun as well as the rain. You can adjust the headband to get the ideal fit and you can fold it up easily to store away. Because you don’t have to hold it up you’re also going to have more freedom for anything you may need to carry or move, because this hat is ideal for more than just hiking. 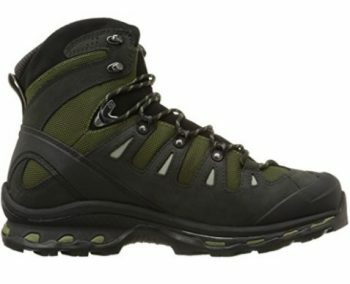 The right hiking boots are going to be essential for any hiking trip and with the Salomon Men’s Quest Hiking Boot you’re going to have everything you’re looking for. These boots come in sizes from 7 to 14 with half sizes available as well. They also have 10 different color and style options so you’ll be able to choose what you like best. The leather and textile form of the boot means you are going to be warm while the synthetic sole keeps your feet protected from anything underneath. These boots offer a 6” shaft up from the arch and have rugged hardware to keep the laces from wearing through. Gore-Tex coating keeps them waterproof and the rubber toe ensures that your feet are fully covered. These boots are lightweight and ergonomic to keep you hiking just the way you always do and have great grip and traction to ensure you can hike on the most uneven of ground and even climb up rocky areas. 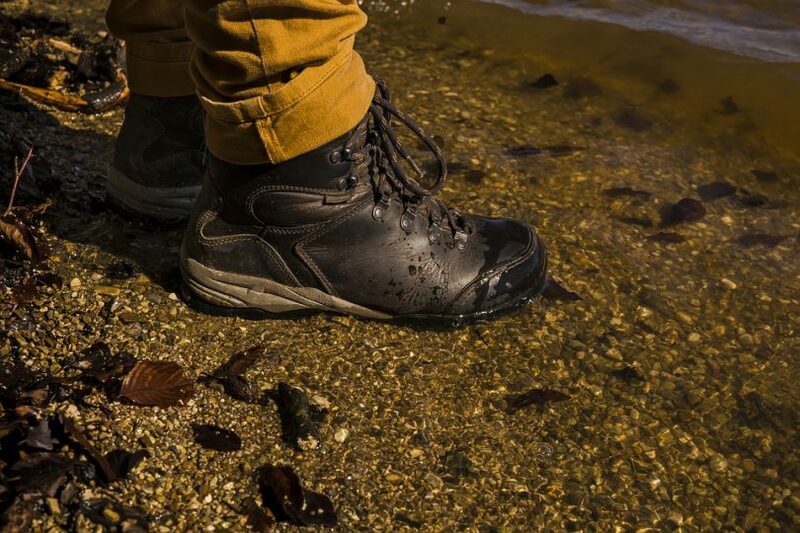 These boots are designed for the adventurous soul and will ensure you’re going to keep on adventuring and exploring anywhere you want to go. With the Mountain Hardwear Ghost Whisperer Jacket you can choose between five different sizes for your own comfort and 19 different colors for your style preference. 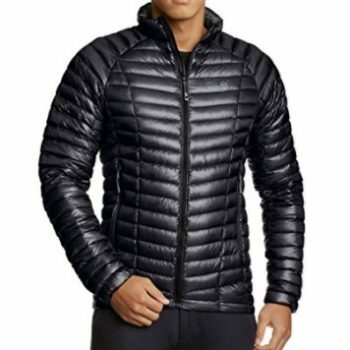 This slightly puffy coat is made with 100% nylon stuffed with down that keeps you warm and dry. Even if you get wet in this jacket, you’re still going to have some insulation and comfort inside the quilted fabric. There’s a toggle hem on the inside so you can adjust what you need quickly and easily, even when you’re hiking and moving around. You’ll also feel comfortable in this jacket from hem to cuffs because it uses ‘butter jersey’ cuffs to keep out cold and water and keep you feeling great. Super lightweight, with this jacket you’re going to have pockets and easy compression. That’s because you can fold up the jacket to fit right inside one of the original pockets of the jacket. That way, you’ll be able to get it as small as possible and right inside your pack when you’re not going to be needing it. When you want to pull it out unfolding isn’t going to be a problem either. If you have a favorite pair of boots that you love to wear but that aren’t quite as waterproof as you might want these Tour Master Deluxe Boot Rain Covers are something you’ll want to pick up. 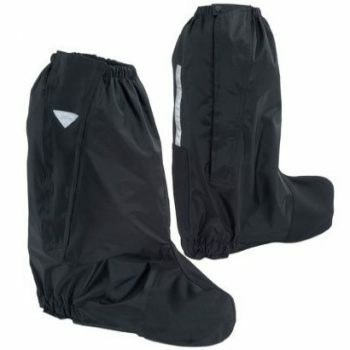 Inexpensive and lightweight to carry along with you, the covers come in five different sizes to make sure they’ll fit over your boots, no matter what size you wear or what you need. They’re also easy to use because you just slip them on over your boot and the elastic at the top will make sure no moisture gets on the inside. Coated in PVC, these boot covers are heavy-duty and abrasion resistant on the toe and heel, where you’ll generally get the most wear from hiking. This is going to make it a whole lot easier for you to continue on with the rest of your plans for the day. You can also use these in the dark because the logo on the side is reflective, letting anyone know right where you are at any time. When you head out hiking it’s essential that you have a backpack to carry all of your stuff, but you want to make sure that the backpack you have is going to keep your stuff from getting wet. That’s where the ORICSSON Outdoor Lightweight Backpack comes into play. 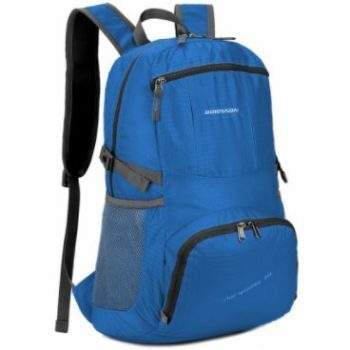 Available in 9 different colors, this 35 liter backpack is ideal for day trips in light to moderate rain. That’s because it’s water resistant and tear proof, to keep your stuff protected no matter what might happen. It’s also full of compartment pockets to separate out all of your stuff. The shoulder straps on this bag are mesh and wide to give more breathability and to balance out the weight more evenly. When you lock them they’ll stay right where you want. Even better, you’re going to get a lifetime warranty that says this backpack is always going to keep you happy and impressed with its quality and capability. If you need to take the bag with you but not full of stuff you can do that by folding it up into a small pocket and stowing it away. Hopefully, all of this will make it a whole lot easier for you to figure out which rain gear you need or want for your next trip into the wilderness. Traveling and hiking can be a great experience, but if you don’t have everything you need to be prepared, that great experience can turn into a bad one with that first bit of rain. 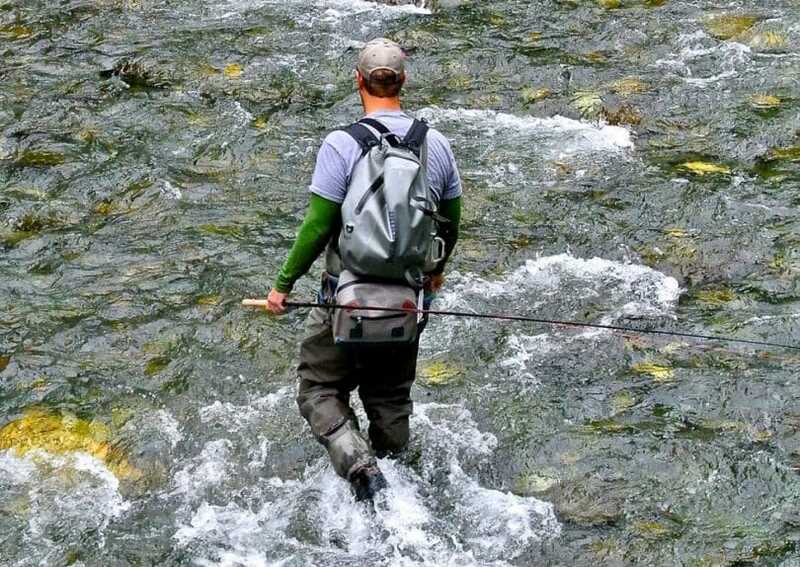 So let us know what you think of these types of gear and let us know about your favorite rain gear too. Do you have a favorite thing that you always take in case of rain? Is there another brand you think is great and shouldn’t be missed?